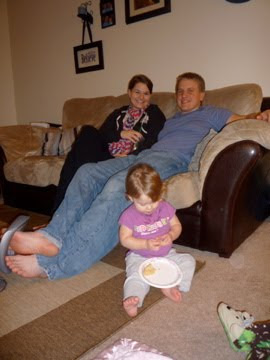 New Year's was spent with the Stauffer's. We had LOTS of good food and laughs. 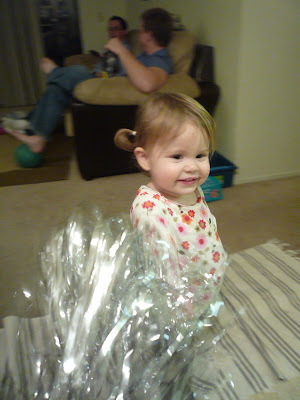 We celebrated New Year's at 9:30 with the babies. 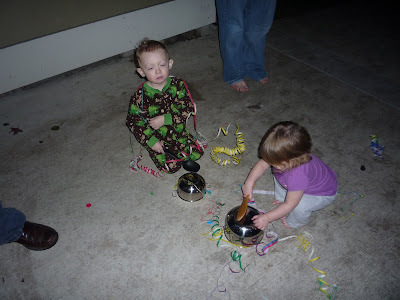 Pots & Pans, streamers and poppers.